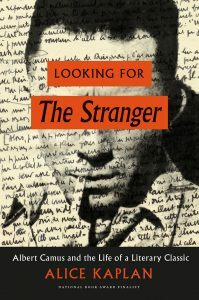 Alice Kaplan’s “biography” of Albert Camus’s existential cult classic, Looking for The Stranger, made quite the debut this past week. Drawing praise from across the web and the subject of hefty reviews in several major publications (this post doesn’t even include one from Le Monde and the book’s second profile by Publishers Weekly), Looking for The Stranger’s prescience stems in part from its subject’s applicability to contemporary conversations about race and class, and inpart from Kaplan’s ability to turn the standard biography on its head, focusing on the historical circumstances that allowed Camus to produce a mass-market paperback—despite personal turmoil, the threat of censorship, and publishing industry fallout—which went on to sell six-million copies to date, rather than tracing an overly-baked life narrative of the author. Kaplan’s abilities as a storyteller are often acclaimed, so nothing new there, but here follow some fresh critical lauds below! 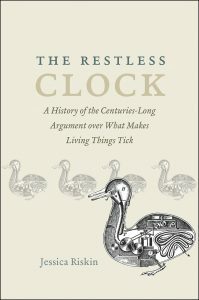 From John Williams at the New York Times: To this new project, Kaplan brings equally honed skills as a historian, literary critic, and biographer. . . . In an epilogue, Ms. Kaplan goes a step further and looks for the identity of the Arab involved in the real-life altercation that inspired the novel’s pivotal scene. What she learns about him . . .
Out of the Wreck I Rise, edited by Neil Steinberg and Sara Bader, positions itself, as its subtitle indicates, “A Literary Companion to Recovery.” The poetics of recovery isn’t really a field (and, if we’re going by Aristotle, poetics is a system, not a discipline), but this volume comes close to illuminating a relationship between creativity and the drive to reclaim possession of one’s life. This past week, John Williams previewed the anthology for the New York Times Book Review, and coeditor Neil Steinberg posted a playlist at Largehearted Boy for some ambient inspiration that “speaks to what the book is about.” From the September 2, 2016, issue of the New York Times Book Review: “Alcoholics Anonymous,” commonly referred to as the Big Book, helped to establish the 12-step program. It’s been an indispensable guide for millions since it was published in 1939. 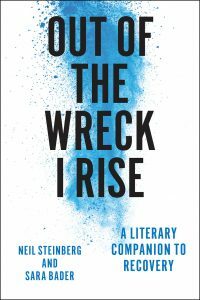 A new, very different kind of book, “Out of the Wreck I Rise: A Literary Companion to Recovery,” by Neil Steinberg and Sara Bader, aims to be a complementary comfort. An anthology of excerpts about addiction and recovery, the book includes many names you’d expect to see on the subject: John Cheever, John Berryman, Raymond Carver. Maybe you wouldn’t . 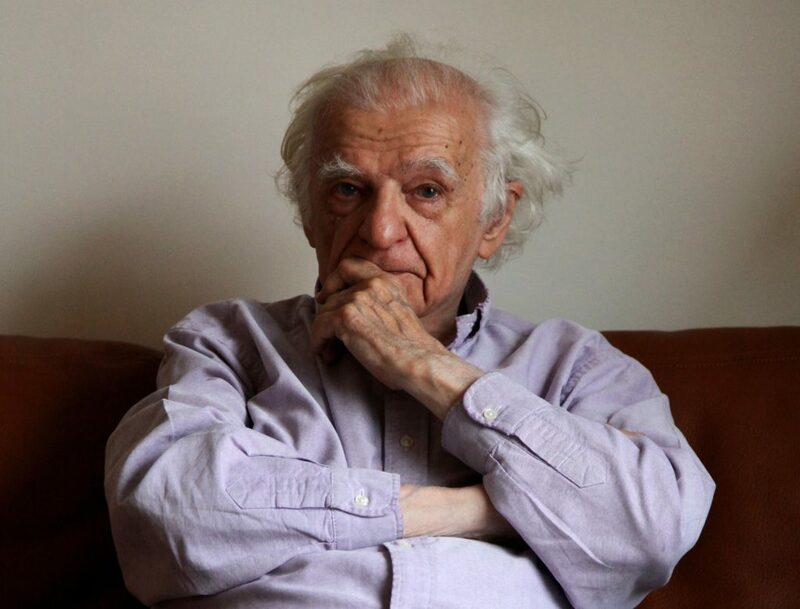 . .
Bernard E. Harcourt has written several books for the University of Chicago Press about issues in law, criminality, and policing that politicize problems around race and social inequality, especially as they complicate more staid academic considerations in sociology and contemporary critical theory. 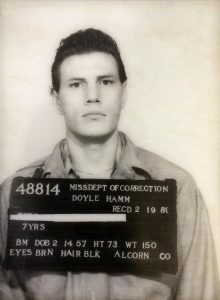 Harcourt is also a lawyer, and as recently profiled by the New Yorker, at the helm of a case decades in the making—a last ditch effort via a possible Supreme Court hearing to commute Doyle Lee Hamm’s death sentence into life without parole. Through the Alabama case and its resultant (denied) appeals, which could have been fodder for an Errol Morris documentary (in which Harcourt has represented his client pro bono since 1994 and assembled an archive of “eleven bankers boxes” of evidence), Harcourt has established a relationship with his client that has transcended his own career moves and life changes, and born witness to the dozens of friends Hamm made on death row and subsequently lost to the “Yellow Mama,” Alabama’s electric chair. The backstory makes for fascinating, albeit urgent, reading: on September 26th, the Supreme Court will decide whether or not to hear Hamm’s case, the last resort for Harcourt and his client. 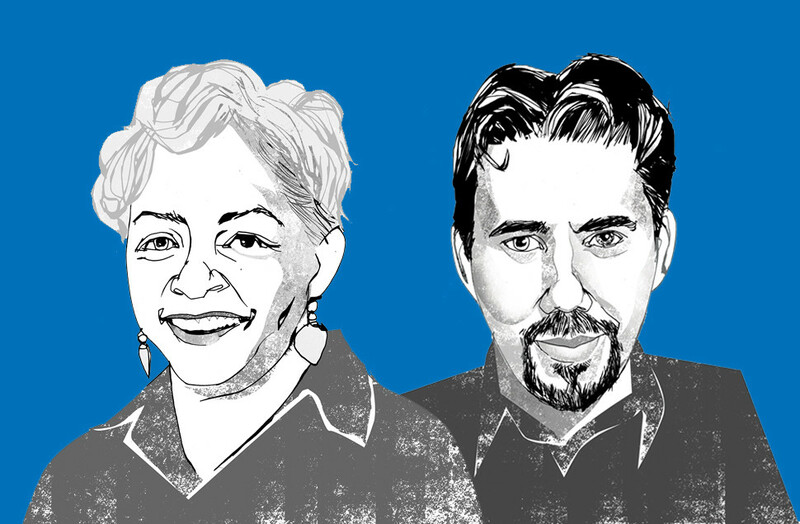 As the New Yorker piece concludes: “He did a . . .
It’s our second congrats this week to a University of Chicago Press author for making the Politico 50, a “guide to the thinkers, doers and visionaries transforming American politics in 2016.” This time it’s Michael Tesler, author of Post-Racial or Most-Racial? : Race and Politics in the Obama Era, at #11, for his contribution to our understanding of “how white racism has long shaped American politics.” As Politico writes: There may be no single symbol of black progress more powerful than an African-American in the White House, and Tesler, author of this year’s Post-Racial or Most-Racial? : Race and Politics in the Obama Era, argues that Barack Obama’s 2008 election triggered a new racialized backlash. Tesler draws a distinction between “racial conservatives,” who are more likely to agree with stereotypes like the notion that black people are poorer than white people because of lack of effort, and “racial liberals.” Racial conservatism, Tesler’s work shows, has become a stronger predictor for identifying as Republican, and it spiked with Obama’s election. Over the past year, a steady stream of studies, polls and analyses—including Tesler’s own findings—appear to bear out that theory and show how it’s shaping the 2016 campaign; they chart a correlation between racial resentment and . . .
Congrats to Temple University professor Sara Goldrick-Rab—author of the game-changing book on college debt, social inequality, and higher education, Paying the Price: College Costs, Financial Aid, and the Betrayal of the American Dream—on her appointment to the Politico 50, a “guide to the thinkers, doers and visionaries transforming American politics in 2016.” Politico on Goldrick-Rab’s contributions to higher-ed policy in the coming election: Clinton’s plan, however, was neither the highest-profile nor most radical. It was Bernie Sanders who campaigned on the issue most vocally during the primaries, pushing not just debt-free college but universal free tuition for public higher education. That idea has roots in the work of Sara Goldrick-Rab, a professor of higher education policy and sociology at Temple University. In 2014, Goldrick-Rab proposed a “free two-year college option” that would cover tuition at public universities, as well as some living expenses. The plan drew on her study of more than 3,000 students receiving federal aid and Pell Grants in Wisconsin, which revealed that those students were still crippled by living costs. As a concession to Sanders during negotiations over the Democratic platform, Clinton broadened her plan to ensure that families with incomes below a certain level would pay no . . .
Philip Ball’s The Water Kingdom: A Secret History of China won’t publish in North America until March of 2017, but the book is already making waves (¯\_(ツ)_/¯) in the UK, where it was recently profiled by the Economist: THE Chinese mental compass is oriented not north-south as with the rest of the world, but west-east—a consequence of tectonic forces that threw up mountains in inner Asia from which rivers seek a course down through China to the sea. “Twisting around ten thousand times but always going eastward,” said Confucius: it seemed a law of nature. Philip Ball argues in his new book, “The Water Kingdom”, that the two greatest waterways, the Yellow river that flows across the north China plain and the Yangzi that charges through the heart of the country, are both “symbols of the nation” and, for millennia, have been the “keys to its fate.” . . . Nearly all cultures have flood myths and legends. 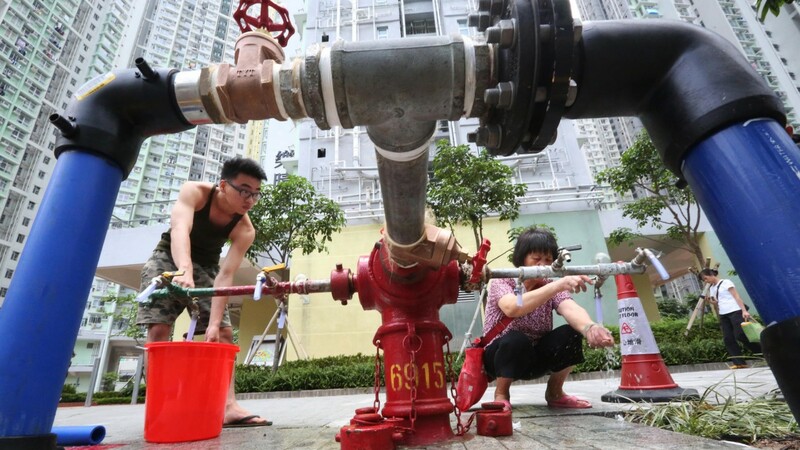 China’s are unusual in that at the heart of them are the engineering challenges of flood control. The first attempts to tame the Yellow river are ancient; the huge Three Gorges dam, which a decade ago turned a fast-flowing stretch into a reservoir the size of . . .
Sara Goldrick-Rab’s Paying the Price: College Costs, Financial Aid, and the Betrayal of the American Dream publishes this month and it isn’t hyperbole to claim it will soon become the definitive text on how higher education has let students down, as the cost of college continues to soar, while combinations of federal, state, institutional, and private aid fail to give students the resources they need to pay for it. 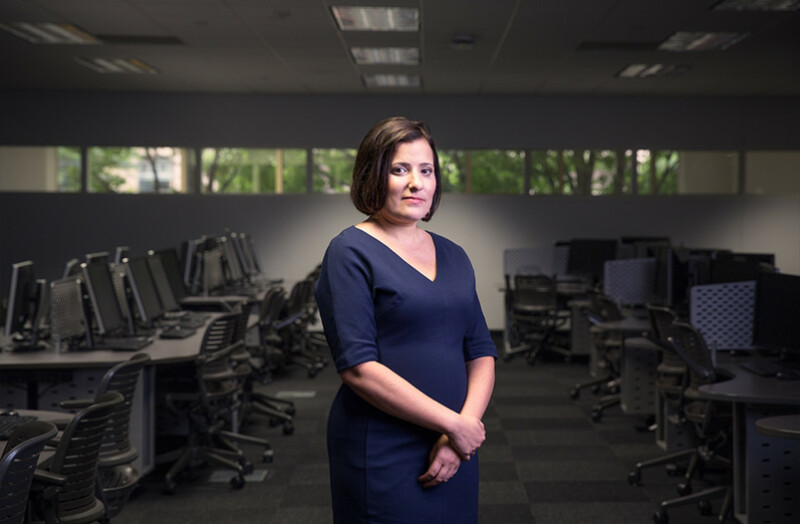 In a recent piece for the Chronicle of Higher Education, Goldrick-Rab bluntly outlined five things she and her team of researchers learned (see below) in tracking 3,000 federal Pell Grant recipients enrolled in Wisconsin public universities through their college journeys. Hint: as Goldrick-Rab teases in the intro, the kids are most definitely not alright. You can read her piece in full here. *** Here are five things we learned: 1. The way the federal government measures students’ financial need is misleading and even flat-out wrong. 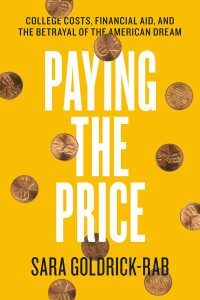 It overstates a family’s ability to pay for college by ignoring debt and the hardships that go with it, and grossly understates the actual costs of attending college. 2. Although colleges often expect families to financially support their children while they attend college, the reverse is happening — low-income children are . 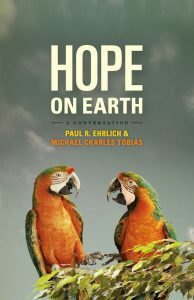 . .
Our free e-book for September is Paul R. Ehrlich and Michael Charles Tobias’s Hope on Earth: A Conversation. Download your copy here. *** Hope on Earth is the thought-provoking result of a lively and wide-ranging conversation between two of the world’s leading interdisciplinary environmental scientists: Paul R. Ehrlich, whose book The Population Bomb shook the world in 1968 (and continues to shake it), and Michael Charles Tobias, whose over 40 books and 150 films have been read and/or viewed throughout the world. Hope on Earthoffers a rare opportunity to listen in as these deeply knowledgeable and highly creative thinkers offer their takes on the most pressing environmental concerns of the moment. Both Ehrlich and Tobias argue that we are on the verge of environmental catastrophe, as the human population continues to grow without restraint and without significant attempts to deal with overconsumption and the vast depletion of resources and climate problems it creates. Though their views are sympathetic, they differ in their approach and in some key moral stances, giving rise to a heated and engaging dialogue that opens up dozens of new avenues of exploration. They both believe that the impact of a human society on its environment is . . .